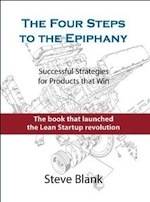 Steve, any news on the Lean LaunchPad online course you posted end of last year? We are a bunch of people around the world looking forward to it! I am so glad that someone is finally realizing that the majority of new businesses are not tech-oriented. However, we still have some of the same needs and issues. I look forward to learning more about your “mainstream entrepreneurship” concept. Steve, great article, but the 99% includes those who have been downsized, outplaced and unemployed, not just academia and Silicon Valley. Sure, seeding the next generation startups, and fueling innovation and entrepreneurism are necessary, but in the stalemated US economy, and with people 50 years old and over getting shut out of the job market, there is an acute need for a system that offers this group an opportunity to earn a living with a higher likelihood of success. How about something outside of academia, possibly in the form of a seminar or video series for those in transition? 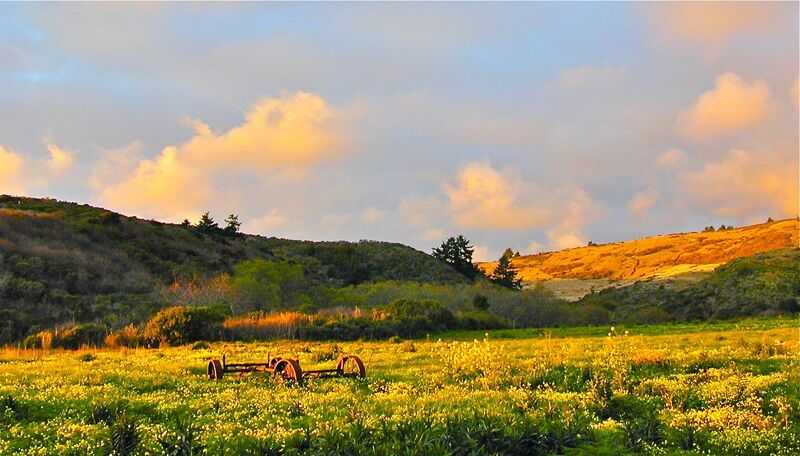 Even though I am in the silicon valley I simply want to create an innovative business that provides a great lifestyle for the very few that it employs. This is great news that you realized this and figured it out. So far I was thinking mine was just a different case and had to adapt the startup manual to my situation. My only question – how do i and others learn what you have figured out? I love your articles Steve and I’m a dedicated reader of your work but this this comment by Sanjay is exactly what I’m wondering as well. Is there any plan for making these insights available to current startup/small business founders? I’ve recognized the need for this too and am trying to do something about it. In NYC, I’m promoting a class that would bring first-time founders together to learn and discuss Customer Development and other Lean Startup principles in a supportive setting, outside traditional educational institutions. Think of it as a distributed model or peer-to-peer network of founders. Connect with me to discuss. I’d love to hear what you think is needed and how to roll it out online and offline in other markets. Drew/Sanja/JP/All – nice work, Drew! I would very much like to connect to discuss in-depth. Perhaps we can set up a face to face since I am in the Phila area, or assemble a web conference brainstorming session. Great initiative Drew. I’d be happy to connect and share my experiences and learn what others are experiencing. My main problem has been in going from book to the street. A community that gets the lean concepts can be quite helpful. You do not have to start at explaining why we have three or four different business models and not a business plan. Hello Sanjay – stay tuned. The work will be shared. It’s going to take some time to put it together and of course, test it! I’m glad this conversation is finally happening. I’m currently attempting to apply Lean LaunchPad techniques to a small business startup, but one that is for Professional Services. Remember that many of us aren’t selling a product at all. We’re selling architectural services, law consulting, midwife services, or other things that can be challenging to produce prototypes for. And for those of us in this 99.7%, we don’t get to fail with other people’s money. If we fail, it usually wipes out our savings and puts us in debt. We need these tools more than anyone! Great post Steve, as always. the great benefit to any new business (scalable tech start-up, small business or even new division on existing org) is about dealing with uncertainty(the search problem), so BMC+CustDev+mindset of design thinking+Agile help on this (the solution tool kit). There is no single solution to a single problem, but a lot of experiences like yours translated into a methodology/ process/ mindset that could help people to achieve their dreams->start a new company. 90% of the people who participated on our BMC course (http://bmgenbrasil.com) is there because want to learn and open a new business because it does not feel that the corporate world, still on Main Street mindset, is giving them the whole “fullfilment”. As a long time follower of your work and that of Alex and Eric I glad to see this Mainstreet movement beginning. We have been adapting all of this work to exactly those kinds of businesses as well as our tech clients. We are anxious to see what comes out of this epiphany!!!!! Steve, I have been teaching entrepreneurship for the 99% through Kauffman Foundation programs and now the Lean Startup program for twelve years. My partners and I in Arizona (stealthmode partners) have been working with various municipalities to fund our programs. We have touched over 700 entrepreneurs. Francine – you rock. If we could just clone you and plant the clones around the US, the economy would be fixed in no time. Hope you are well. Say hi to the GP crew for me. LOL Paul. I wish it were that easy. A lot of work still ahead. In fact, the work never ends on this subject (part of why I love it). Glad to see you are doing this. If you could apply it to those of us who want to be solopreneurs that would be great. I look forward to more programs and materials coming from Steve and all those interested in helping the 99%. The main difference is not in tech startup vs mainstreet startup IMO but scalable (exponential growth) vs. normal growth. In my experience , a lot of “non web tech startups” like laser or medical devices businesses are very similar to mainstreet businesses. On the contrary , i find similarities between a new streetfood chain and a web startup (high potential team, capital). When it comes to inner cities and more mainstream businesses (linear growth models, unlikely IPO candidates, no hockey-stick like projections) traditional venture capital is just not the right tool as the “spray & pray” Silicon Valley model doesn’t work in this context. While there is great wealth being amassed in the Valley, and high-paying jobs created for engineers, the venture capital industry is guilty of playing it safe. There’s no magic in funding 10 food delivery apps and waiting for one to hit and nothing innovative about an incubator that sprays lots of small checks into low capex businesses. For an industry that prides itself on being on the bleeding edge, it’s awfully staid. Can’t wait to hear more about Mainstream Entrepreneurship and application of Lean LaunchPad approach to small businesses. Although we are a technology startup, truthfully we are more of a small business at this stage until our growth ramps. And yes, I do mentally “sneer” at the idea of being more small business than startup. As a privately funded non-profit dedicated to fostering entrepreneurism, we have been using the Lean Launch principles in our accelerator and incubator programs. Seeing the same need to mainstream these principles, we are launching tools and training that builds on Steve’s work and that of Nathan Furr at BYU entitled “Nail it and Scale It”. We feel strongly that such training and assistance is really needed for the many entrepreneurs who are no longer students, who don’t have access to the professors and rich resources of academia, and slug it out each day to rapidly grow their innovative businesses. We strongly support Steve’s and Alex’s efforts to keep the focus on mainstream. It will pay off for us all. Jerry and Steve, I also suggest we broaden the definition of “entrepreneur” to include anyone with the guts, drive, or need to strike out on their own, regardless of whether or not they pursue a scalable model. The worldwide economic downturn means more and more entrepreneurship is necessity-driven, not opportunity-driven, and these new business owners need conceptual frameworks that apply to the very different, non-venture worlds in which they live. Finally, more people are studying entrepreneurship because they seek deeper meaning in their lives–they want to make a social contribution or fulfill themselves personally as well as professionally. So there’s a need for innovation in “personal business models” as well as in organizational business models. That’s a key driver behind a new, free worldwide community of businesspeople, counselors, consultants, and coaches keen on the possibilities for applying business model and entrepreneurship principles to individual career development. It’s called BusinessModelYou.com. You have already planted the idea. Other people will take it from here. Just a matter of time before we see niche versions of the startup manual for restaurants, recruiting firms etc. Im currently writing a “startup manual” for small niche law firms that use technology as a competitive advantage. Nothing spectacular and below 100 pages. Not sure if I will publish it online straight away or make some more money from it before. I use your framework/big ideas of customer development. Like a skeleton that connected all the dots like no one had never come close to before (some exceptions). Then I fill it with my own flesh. And tweak the skeleton a bit as well. Add things I feel is more exact information lawyers need to succeed. Things that are totally uninteresting for entrepreneurs in others sectors. Would love to see a competition some day between different startup manuals. But then a clear goal of the manual would need to be decided first. Then some kind of AB test. That would be interesting. Pure data. Whats the goal of customer development? 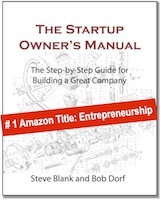 How would one know if another startup manual is better? How can the progress of different startup manuals progress if there isnt away to clearly measure the quality of them, or clearly articulate what the goal(s) of them are? Do you think you have focused more on the flesh/details rather than the skeleton/big ideas in your second version? Do you feel customer development is a good enough model, and now you try to scale it by polishing the details? Why do you spend time on stuff like explaining online AB tests or eye tracking when not all entrepreneurs would need to do those? Why dont you focus on the skeleton, boring? You think the details are needed to help spread the big idea? As a bootstrapping solo-dev I often try to tweak concepts (such as the lean startup) to fit my situation. As you’ve discovered, that’s not always easy. I think the biggest disconnect, for me, has been the focus on getting funding in order to move mountains. Yes, cash to outsource and for marketing is ideal but at what price? 51% to someone with an eye on an exit while my eye is on holding? Also, I’m not a twenty-something with little to lose. I’m not in a position to shack up with a handful of like minded people and crank out V1 of the next digital toy/tool. I’m pushing 40, have a spouse and three kids and while my mind LOVES entertaining high dollar startup ideas, the truth is, I’m not after that. I love reading your blog and look forward to having to tweak your advice a bit less in the future. Thank you for contemplating the 99%. Tasty! I’m a 50 something looking to start my first triple-bottom-line business – an urban farm to fork enterprise that will support right livelihood and sustainable healthy food production in the inner city. I’m already a fan of LeanLaunch Pad and am eager to hear what you have cooking for the small first-time entrepreneur. glad to see some attention paid to entrepreneurship for those who aren’t specifically in technology companies. the importance of technological advancement should never be understated. it’s just not the only thing to pay attention to. Steve, you have finally validated my experience with your entrepreneurial framework in this post. I could see it applying in my situation, but you’ve confirmed that there is a way to apply at all levels. I’ll be incorporating some of your ideas and concepts and recommending your books for those that get my book, “How to Start a Business: Mac Version”. I walk people through from their “idea” to their “Grand Opening” what it takes to start a business because I could not find any “blueprint” of steps that would help me increase my success rate. Especially if I only wanted to become a dog sitter. I’ll be updating my content over the next few weeks to reflect new realizations and evidence. Thanks for the post, I’ve been heading in the right direction all along. Any news on the “Mainstream Entrepreneurship” framework/course that you and Alex Lawrence had devised in early June? Would love to have some material to work on with my students! +1 this comment. 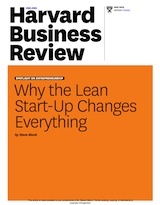 Any updates or insight on ways to implement lean startup for small business would be greatly appreciated. People should buy a franchise. See mcdonalds, see success ! Are there any example presentations? like the MammOptics one used in SOM? or the LLP sessions?